From sticky stories about honey to celebrating birthdays, Pooh, Eeyore, Tigger, and Piglet have amazing fun together. Milne was an author from English author and playwright who graduated from Cambridge in 1903. Christopher Robin was named after Milne’s own son and the characters in the story were inspired by his son’s own stuffed toys. In 1977 Disney brought that fun to the silver screen as an innocent and beloved movie titled “The Many Adventures of Winnie the Pooh” with Sebastian Cabot, Junius Matthews, and Barbara Luddy. The movie was the last film that Sebastian Cabot made, and it included memorable songs by the Sherman brothers – Richard and Robert. The Adventures of Winnie the Pooh is a popular attraction in the Magic Kingdom. With many companies, the production of a movie would be the end of the story. But at The Walt Disney Company, it is just the beginning of the story. Disney is famous for ‘synergy’ – using characters and experiences in one area, like a move, to create new experiences in another area, like a theme park. Disney has done this almost since the beginning. Disney immediately created toys that followed the release of the company’s first full length animated movie: Snow White and the Seven Dwarfs. The castle at Disneyland was named Sleeping Beauty Castle to help promote the movie of the same name. And the attraction at the Magic Kingdom called The Many Adventures of Winnie the Pooh is yet a great example of Disney’s synergy at work, leveraging characters and a movie to develop a theme park attraction. Disney had plans to create an attraction based on Winnie The Pooh at Disneyland as early as the 1970s, it didn’t actually appear at the Walt Disney World Magic Kingdom until 1999. What was going on during that twenty years? The popularity of Winnie The Pooh was on a downslide in the 1980s, at the same time that a new character was gaining popularity – Roger Rabbit. Disney decided to focus energy on the crazy rabbit with a funny lisp, featuring him in Disneyland’s Toontown. In the early 1990s Pooh began to increase in popularity again. 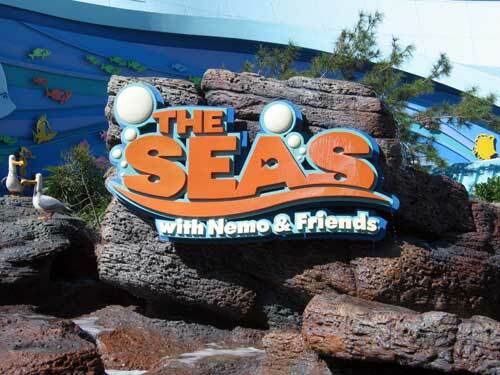 Disney decided to add an attraction in the Magic Kingdom Fantasyland area. Actually, not add – but replace. They made plans to put Pooh in the space that was then occupied by Mr. Toad’s Wild Ride. Based on the book, and then film, called The Wind in the Willows, Mr. Toad was also coincidentally also a character by A. Milne. There were many fans who loved Mr. Toad and did not want to see his attraction disappear. Mr. Toad’s Wild Ride, an attraction that opened with Disney World’s Magic Kingdom in 1971, was modeled after an attraction with the same name at Disneyland – as many of the original Magic Kingdom attractions were. When Disney made plans to swap Pooh for Toad, some even protested. After the protests by fans of Mr. Toad died down and were forgotten, The Many Adventures of Winnie the Pooh opened in 1999 and has been popular with younger fans ever since. Fortunately, Mr. Toad is not forgotten. There are tributes to him including a painting inside the Winnie The Pooh attraction and a statue of a toad in the pet cemetery near the Haunted Mansion. The Many Adventures Of Winnie The Pooh is a dark ride attraction that is appropriate for kids of all ages. As you leave the boarding area you literally enter a storybook and the Hundred Acre Woods. You get to see the inside of Owl’s home (it is a bit messy) and you get to bounce along with Tigger. You get to experience a rainy day, followed up by the joy when the rain has passed by. 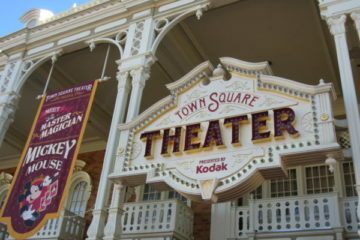 Similar attractions exist at Disneyland in California and at Hong Kong Disneyland. At Tokyo Disneyland is a different attraction called Pooh’s Hunny Hunt. While it is based on Winnie The Pooh, it is a different attraction where honey pot vehicles guided by a trackless system take you inside Pooh’s dream. 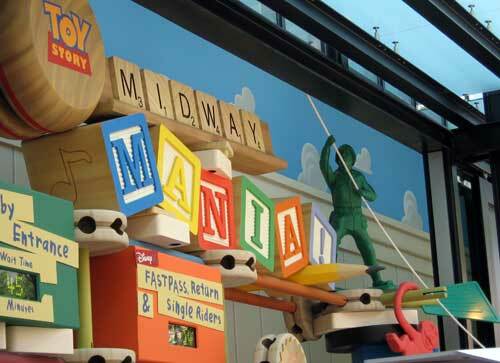 In late 2010 Disney added an innovative new queue area to the attraction – some say that it is the preview of things to come at the Magic Kingdom under the “Next Generation” or “NextGen” banner of improvement projects. Instead of simply waiting in a long line to get on the attraction, the queue of the Pooh attraction now includes many interactive elements. While parents wait in the line, slight detours allow little people – and big people – to fun activities. If you jump on special pads it will activate gophers that pop their heads up. 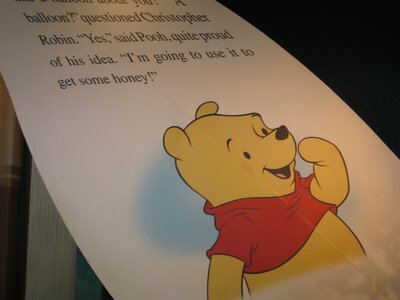 If you run your hand across glass screens, it will move aside dripping and gooey honey to reveal an image of Pooh. You can spin flowers that make interesting sounds and you can beat on drums that are shaped like melons. Many reports suggest that this new approach to the old concept of waiting for an attraction makes the time go quickly and in a fun, active way. 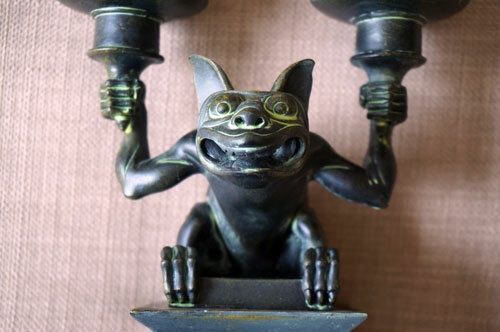 At the end of the attraction, as you will find at many places in Disney, is a shop. This one is called Hundred Acre Goods. Inside this shop you can get great Pooh merchandise, including clothes, toys, and collectible items. If you are a fan of Winnie The Pooh, Tigger, Eeyore, or other friends from the Hundred Acre Woods, this is a great place to browse for fun merchandise and gifts. From a classic childhood story to a movie to a delayed attraction to test bed for new queuing systems, The Many Adventures of Winnie the Pooh has had a bumpy – but dare we say – fun ride. 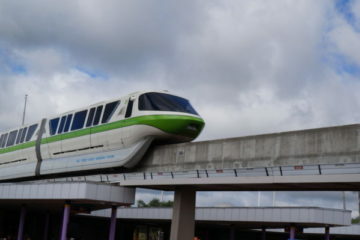 Many consider this attraction at the Magic Kingdom in Walt Disney World a must-see. Where else can you ride in a honey pot through the Hundred Acre Woods?